TeaVivre’s flower teas are all the time welcomed among our customers. To celebrate the Christmas and New Year, we selected more new beautiful flower teas. Flower tea is made by hand with green tea and natural dehydrated flowers. And it attracts attention because of the mellow taste and elegant appearance. 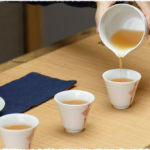 We’ve carefully selected six upgraded Silver Needle Flower teas. 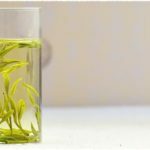 Silver Needle flower tea is higher grade than the Mao Feng flower teas we previously presented. The silver needle flower tea is more beautiful. Besides the upgraded silver needle flower teas, we also chose four new flower teas that made with Mao Feng and flowers for our tea lovers. Hard to pick just one of them, right? How about an assortment? 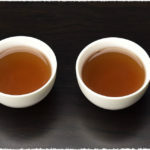 We have two different assortments, one is the six silver needle flower teas, and the other is 12 Mao Feng flower teas. And we also prepared box packing for these two assortments. Christmas Day is coming, buy your family and friends a great present to express your best wishes.